The students of Chaboya Middle School will host the inaugural school wide My School Color Run on Friday, May 18th, 2018 to raise money for their school. The Chaboya My School Color Run is an untimed fun run for all ages and fitness abilities. All family and friends, young and old, are welcomed to participate and/or come to watch and enjoy the activities, music, food and drinks. “Rather than sell goods, we want to engage the entire student body in a fitness initiative that aims to encourage a life-long healthy way of living,” says Chaboya PTSA. Participants that register by Friday May 4th will receive a t-shirt, race bib, and individual color packet. Participants are asked to obtain pledges to help raise funds for Chaboya Middle School. There will also be a Raffle with free raffle tickets for obtaining at least $100 of pledges per participant, or purchase raffle tickets at the event. The raffle prices will be distributed at the event. Not required to be present to win. 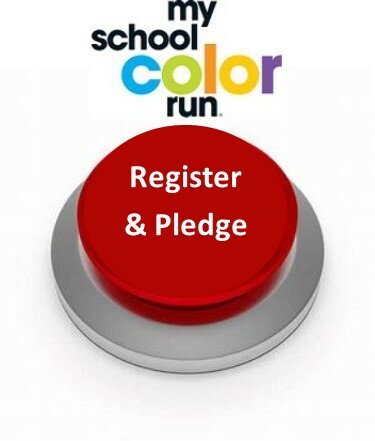 You can sign up for the run and/or pledge by visiting https://events.myschoolcolorrun.com/event/ChaboyaMiddleSchool. Business sponsorship opportunities are also available. Please contact the event organizer, Chaboya PTSA, for more information. Share on Chaboya OfficialChaboyanews Facebook Events with Family and Friends. Pledge Form - WIN 25 raffle tickets for GREAT prizes!